Definition: Reflexive sounds like reflection, the image in the mirror that bounces back at you. A reflexive pronoun tells us that whoever performs the action in a sentence is also the one on the receiving end of that action. In other words, the reflexive pronoun reflects back to the subject. A reflexive pronoun can be used as the direct object, indirect object, or object of a preposition in a sentence. Hint:- If you are still not sure who the pronoun is referring to ask, yourself questions to break down the sentences. Find the subject (doer)and the verb (action): who saw? The puppy saw. Find the object: What did the puppy see? Itself, puppy. You are going to have to drive yourself to school today. Jennifer does chores herself because she does not trust others to do them right. We don’t have to go out, we can fix dinner ourselves. Please make yourselves at home while you wait. The children made holiday decorations by themselves. Definition: Intensive is like intense. Something intense is very strong. 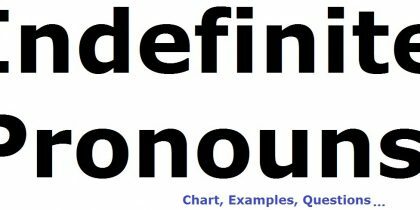 An intensive pronoun emphasizes a preceding noun, which is often (but not always) the noun immediately before the pronoun. Intensive pronouns look exactly the same as reflexive pronouns, but they are only used for emphasis. The queen gave the knight the award herself. We ourselves are the ones who make the greatest impact upon the world we live in. Jesse wondered aloud whether the himself was the only one see seeing what was happening. We built a garden shed by ourselves. Jordan made himself a sandwich complete with pickles. I am a little nervous about walking by myself after dark. The twins are growing up fast ; they are already walking by themselves. My mother bakes our family’s bread herself. The mayor herself appeared at the rally. The team knew that they themselves were responsible for playing their best.